An insight into the world of Truscapes. Meet our clients and their projects. "Scotty, Chris and the team did a fantastic job at our new home. 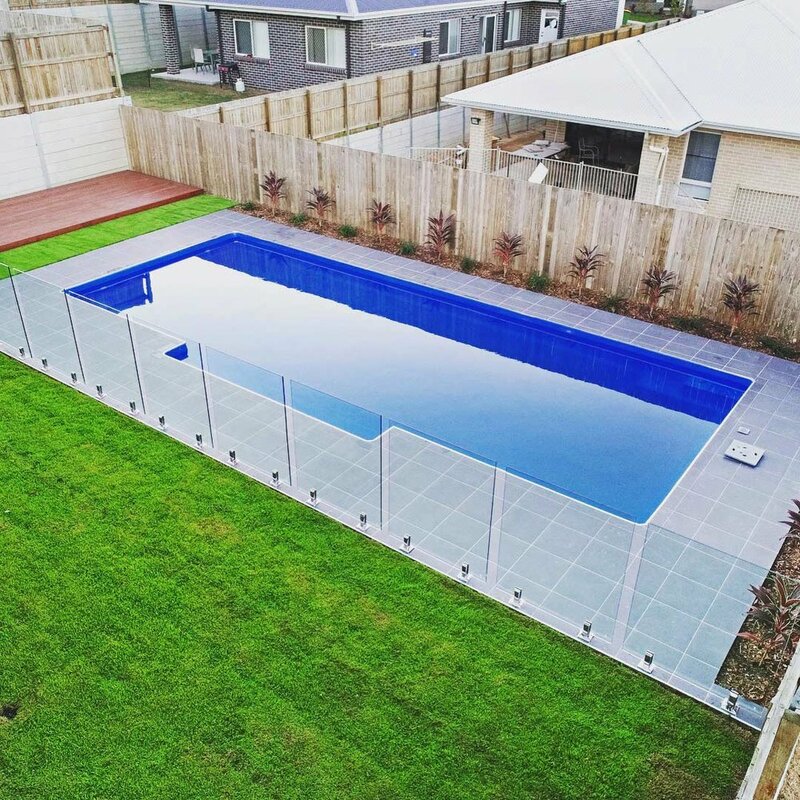 They took on a lot of work with timber fencing, glass pool fencing, retaining, garden edging, concreting and tiling around pool, turf preparation and laying etc etc. Really friendly guys, nothing was a problem, and they definitely cared that we got the finish we wanted. We’re really happy with the outcome. Highly recommend." "The guys did a great job. We are really pleased with the end result and how hassle-free the whole process was. Thanks!" "Only landscapers I'll use at my home and I'm very fussy! Best blokes out! Top quality work. Recommend these guys any day!!!" "Hard workers, very tidy and very friendly with our neighbours. Love the work they did and very open to suggestions and variations as well. Thank you Michael & Scott!" "We had a side fence and gates. Scott emailed me a quote, answered our questions promptly. From beginning to the fence being completed was fabulous. Quality work, great communication and professional. Highly recommend TruScapes." "These guys are the bomb! Sorted our whole protect from start to finish- driveways, decking, turf, gardens- and still providing support on how to maintain long after they’ve finished... just a shame there’s no 6 star button!" "So happy we went with these guys for our landscaping! So easy and stress free! Amazing work! If you want an honest, trustworthy and hard working company come and see the guys at Truscapes!!" 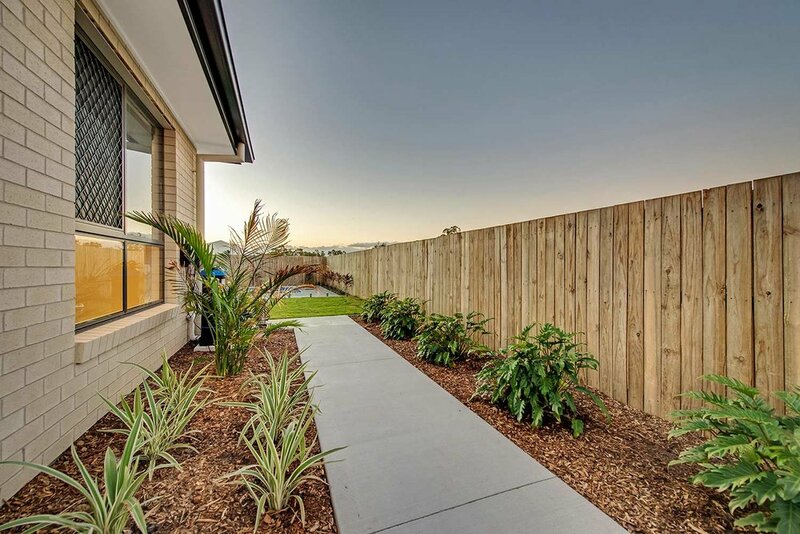 "Scotty, Mikey, Karlos and Chris were given the unpleasant task of transforming our oddly sloped mud-pit of a backyard into a classy modern landscape. Over the course of a three week period the guys have done fantastically well and I am more than with the final product. 1. Fantastic communication that puts most other tradesmen to shame. There are almost too many ways to get in touch with them and you will not need to chase them. You will never wait more than a few hours for a response (minutes was the norm, particularly once work has started). 2. Fast, honest and very detailed quotes. These guys are not out to make a quick buck and all their pricing is very fair and realistic. 3. Early starts, late finishes, and extreme dedication to getting the job done (they stayed back to 9pm on one of the final nights to make sure we had everything done by Christmas). 4. Really friendly, polite and always up for a chat. A pleasure to have on site, and a privilege to hear their Spotify playlists. The Christmas playlist was my personal favourite, second only to Best of the 90's. After months and months of dealing with dodgy tradies, it was refreshing to work with a group of truly honest professionals. The guys have done a terrific job with everything, but we are particularly happy with the enormous decked stairway entrance to our home. The guys spent more than a week building this behemoth and you can absolutely see their dedication through the quality and craftsmanship of the final design. They were extremely flexible with the design concept which was greatly appreciated. You get what you pay for with TruScapes. These guys can (and will) add real value to your home through their professional mastery of their trade. I would not hesitate to recommend them for full new home landscaping packages. Lock them in now for your project before someone else does, you will not regret it!" 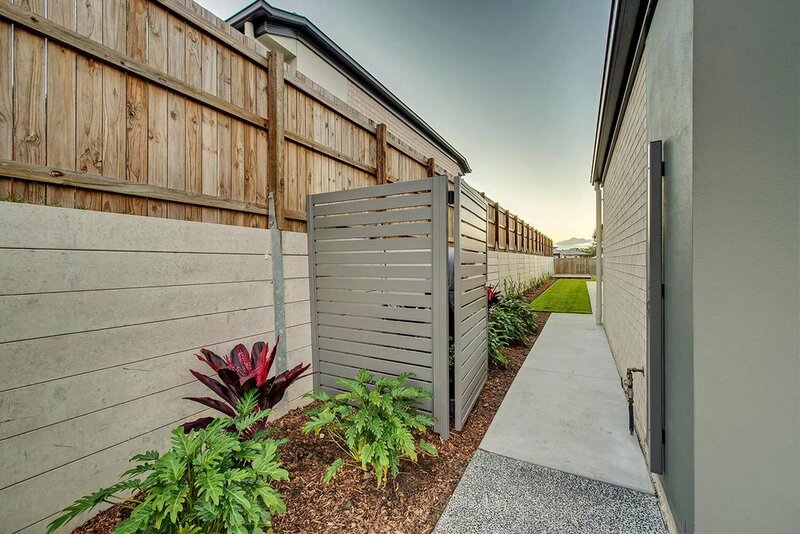 "Michael and Scott from TruScapes have done a few jobs around our new house starting with installing a double gate at the front. They really came to our rescue at very short notice with this job, and had it made and installed within a couple of days of quoting. When we needed someone to do a small front garden, they were the first ones we went to, and again didn't disappoint - they did a great job for a great price. The third job was a major one. Our backyard and patio was a deserted wasteland; it was dry and dusty with a pool just sitting in the middle of a sloping, impractical area. The TruScapes team have turned this unusable space into an amazing entertaining area, complete with wooden decking on several different levels, LED lights inset into the steps and new turf - and they have completed this entire transformation in just over a week. They show up on time every day, motivated and enthusiastic. They are extremely courteous, always professional and are full of fantastic ideas and advice. I cannot recommend these guys highly enough - I only wish we had more work to give them. Thanks again guys!!!!" "It’s rare to deal with a company these days who actually wants your business and wants what’s best for their clients. We got exactly what we wanted and more! We’re very happy with the product and service and would highly recommend!" "Very friendly, helpful and communicative team that has your best intentions and preferences in mind without pushing towards pricier options. Persistant and hardworking, no matter the weather and a beautiful finished product."